I never thought Id be a cruiser. Stuck on a ship with people I didn’t know with nothing to do between ports sounded like a recipe for a miserable vacation. That is, until I took the leap with my first ocean cruise and ended up having an amazing time. Since then, I’ve cruised the Caribbean, the Mediterranean, done an ocean crossing, and seriously loved each one. For those of us in Vietnam, there aren’t many opportunities for ocean cruising unless you’re willing to fly to Singapore or Australia, but with all the waterways of the Mekong Delta, river cruising is definitely a possibility. While representing only five percent or so of the cruising market, river cruising has consistently been one of the fastest growing segments in all of travel over the last few years, and it’s not hard to see why. Spend your days on shore excursions, relax on the boat in the afternoons, enjoy a gourmet dinner in the evening, have a relaxing sleep and wake up refreshed to do it all over again the next day. Since towns and historical sites tend to be near the river, there’s very little transit time, compared to ocean cruises where ports large enough to accommodate megaships are often farther away (eg. an hour or more away for Athens and Rome and 1.5 hours for Saigon), cutting down the time you actually have in port. This was a major factor when I did a river cruise from Aswan to Luxor in Egypt as most of the monuments were minutes from the pier, reducing my fear of something happening to my transport (rail strike, unexpected traffic, breakdown, etc.) and literally missing the boat. Compared to an ocean cruise where just the basics are included (alcohol, soft drinks, excursions are all extra, and can add up very quickly), river cruises tend to include everything – all your meals, activities and shore excursions (and often on-board extras like Wi-Fi, lectures, tai chi and other classes). So while the initial price may be higher, you’re getting more value for money with no surprise fees to worry about at the end. Hop on board and put your wallet away. While airplane travel has definitely gotten worse in almost every way since its Golden Age, river cruising has mainly gotten better. Due to its increased popularity, a third of all river cruise ships have been built in the past 10 years, and more than a quarter within the last five years. This means you’ll likely be sailing on a ship that’s more modern, better designed and more comfortable than on an ocean cruise. And with ships being smaller, each room will usually have a beautiful, ever-changing view, compared to windowless inside rooms on larger ships. The last cruise I went on, I shared the ship with more than 3,000 other people, making it akin to a small city. But that’s nothing compared to the largest cruise ships which have a maximum capacity of more than 6,000 people! River cruises are much smaller, often with just 50-100 passengers on board. This equates to a higher, more personalized level of service, where staff often know you on sight, and a higher staff-to-passenger ratio. It also means more flexibility. Instead of being assigned a table at mealtimes for the duration of your cruise, river cruises offer open seating, meaning you’ll get to better know your cruise mates who are often well-traveled with lots of interesting stories to tell. River cruises tend to attract more seasoned travelers who have already done the mass-market tourist packages and have graduated to more refined, personalized experiences. While the average river cruiser tends to be older and well-heeled, there’s a trend towards making river cruising more attractive to younger travelers, as evidenced by Disney entering the river cruising business this year. While sailing days on ocean cruises offer beautiful but sometimes monotonous views of the big, blue sea, there’s always something new to see from your balcony (or the Jacuzzi) on river cruises including smaller boats ferrying people and produce and life playing out on the riverbanks. Another perk is unpacking just once at the beginning of the cruise and enjoying your floating hotel room for the rest of your holiday. River cruising also tends to be more casual than ocean cruising, so feel free to leave that tux or gown which you might only wear once at home. While unexpected weather may sometimes foil river cruising (eg. too little rain making some passages too shallow to traverse, or too much rain, meaning ships can’t get under low bridges), for the most part, you’re enjoying very calm rivers (no seasickness to worry about), as opposed to storms on the high seas. I was once caught in a medicane (Mediterranean hurricane) and believe me, a rocking ship during mealtimes and when trying to get to sleep can be extremely unpleasant. 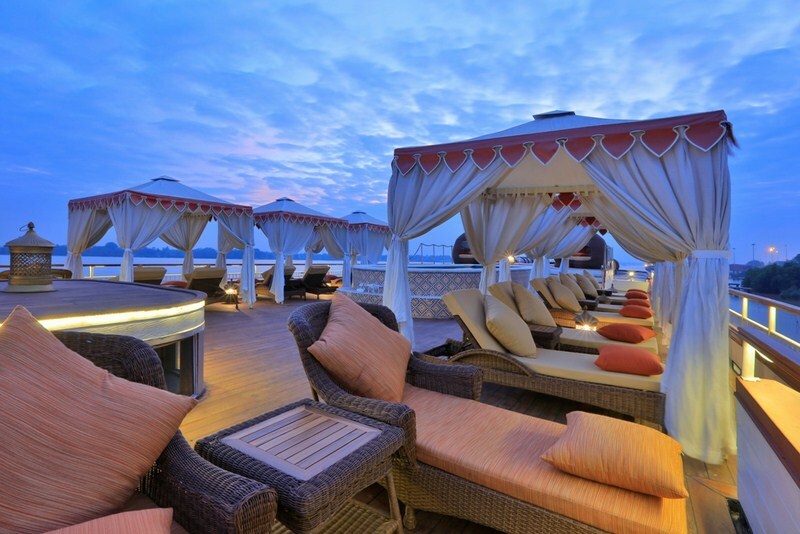 So if you’re looking for a different, more refined vacation experience, definitely check out river cruising. Southeast Asia is seen as one of this year’s hotspots for river cruising, including the Mekong River from Saigon to Siem Reap and the Ayeyarwady in Myanmar. You’ll get past the big cities and have a chance to explore smaller towns and villages which provide better insights on how the locals truly live, all the while enjoying a premium, intimate cruising atmosphere! Established in 2009, Heritage Line is a consummate collector of ships and vessels offering guests luxury cruise experiences which are intimate, authentic and adventurous. Its fleet of six vessels combines old-fashioned elegance with modern comfort with a view to achieving the perfect mix of mix of adventure, comfort, luxury and tradition. In the Mekong Delta, the Jayavarman and the Jahan are inspired by French colonial cruise liners, and travel the Mekong River between Saigon – Chau Doc – Phnom Penh – Siem Reap on itineraries of three to seven nights. 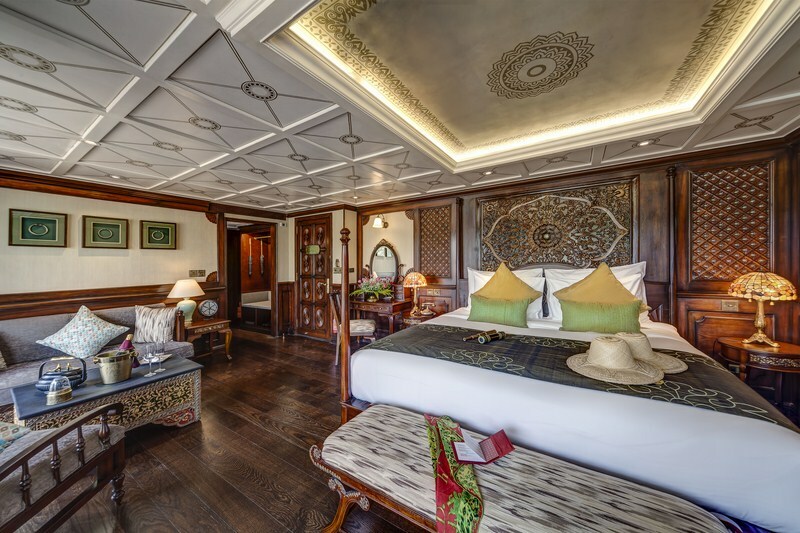 In Halong Bay, Heritage Line operates three traditional wooden junks – the Violet, the Jasmine and the Ginger – on one- and two-night itineraries. 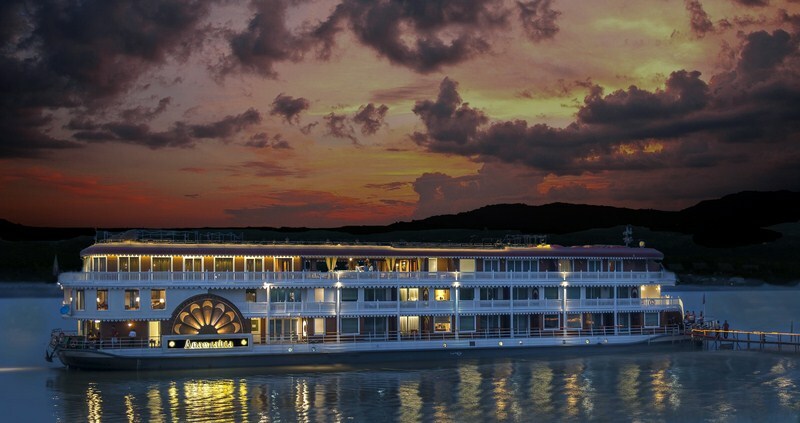 The Anawrahta, built to resemble a British colonial paddle steamer and featuring three spacious decks and 23 all-balconied cabins and spacious suites, is the newest ship in the collection and sails the Ayeyarwady in Myanmar. See more at www.heritage-line.com and www.facebook.com/HeritageLine.